Train 32 from Surat Thani to Bangkok (Hua Lamphong Railway Station) is the most luxurious train on this route, operating with the new Chinese made CNR coaches, with only sleeping berths / beds available. As the train is not the quickest way to travel, many people decide to take a bus from Surat Thani to Bangkok. If you are coming from the islands of Koh Samui / Koh Phangan, taking the bus is a much quicker way to get to Bangkok and you can buy combined ferry and bus tickets that take you directly from the ports to the capital. Another option is to take a quick flight from Surat Thani Airport (URT) to BKK (Suvarnabhumi Airport) or DMK (Don Muang Airport). Flights are usually much cheaper from the mainland than they are from Koh Samui Airport (USM). This overnight sleeper train to Bangkok from Surat Thani has the plush, new Chinese made carriages first put on line in late 2016. 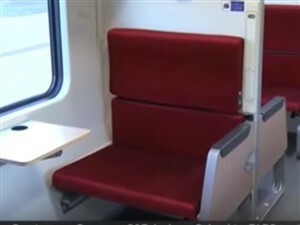 These new coaches offer passengers a much cleaner, modern and more comfortable travel experience, but are a little bit more expensive than the trains using the older rolling stock. 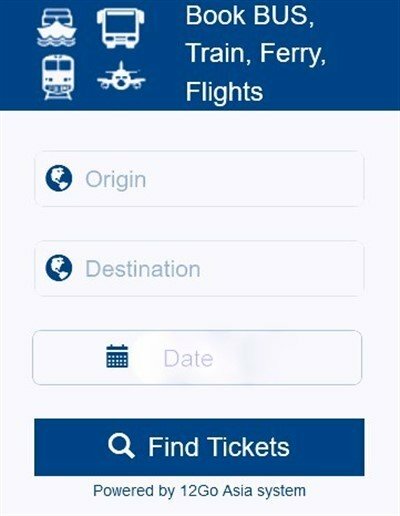 You will need to reserve your tickets for this train and the further in advance you book, the more likely you will be able to get the sleeping berth of your choice. 1) Visit any main SRT railway station and buy your tickets in person. Once the train has arrived at Hua Lamphong station, you can travel to other parts of the city by various forms of transport.